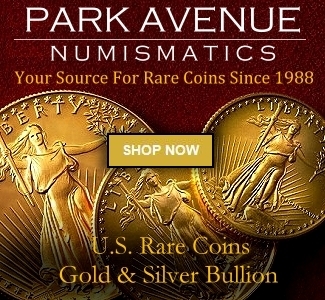 A powerful, new search tool, found exclusively within the PCGS Set Registry® (www.PCGS.com/SetRegistry), saves collectors considerable time when shopping for coins online. The new “PCGS Shop Button” conveniently finds and displays nearly every PCGS coin currently offered online, whether at auction or in a fixed-price ecommerce listing. 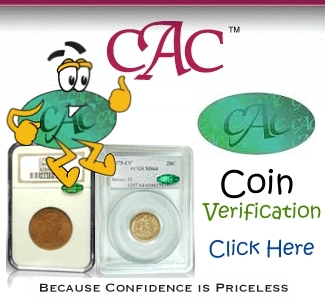 The collector can then easily click through to the listing site to research the coin further, bid on the coin, or complete the transaction. “Collecting is competitive, especially on the Set Registry, and searching every conceivable venue for the coin you need before someone else finds it can be time consuming and hit-or-miss. 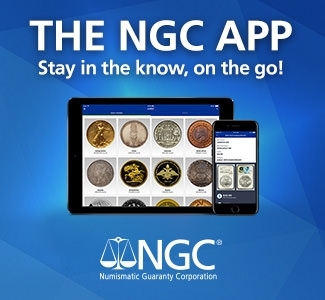 The PCGS Shop Button is here to solve the ‘searching’ problem by simultaneously exploring nearly all listings for the coins you need,” explained PCGS President, Don Willis. Willis announced the new feature at the PCGS Set Registry luncheon on Friday, January 9, 2015, at the Florida United Numismatists convention in Orlando, Florida. 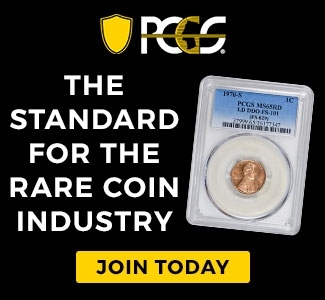 “Directly from the interface of the PCGS Set Registry, this new service searches major ecommerce sites, like eBay, Amazon, and Collectors Corner, as well as top auction sites, and virtually every ecommerce coin dealer site, to return the right PCGS-graded coins back to you,” Willis added. An additional time-saving feature of the PCGS Shop Button is the ability to add coins to a ‘Watch List’ in order to quickly access saved results over multiple sessions. The PCGS Shop Button is a free service available to all members of the PCGS Set Registry, the hobby’s first online tool for organizing and analyzing your PCGS coin collection. To start your free Set Registry account, and access the Shop Button, visit www.PCGS.com/SetRegistry. The PCGS Set Registry was established in 2001 and now hosts over 72,000 sets. For additional information about Professional Coin Grading Service, visit http://www.PCGS.com or call PCGS Customer Service at (800) 447-8848. I tested the new tool, and it works quite well. I sent this feedback to PCGS: This amazing new tool, “PCGS Shop” needs to be combined with the PCGS Want-List feature to make the ultimate “coin finder” tool. I would love to see this integration ASAP. I don’t really want to dig through the hierarchy of predefined registry sets to find the coins I need, I want it to sync with my want-list and have it automatically show me coins I’m looking for as they arrive. Hopefully something like this will be implemented as they perfect the tool over the coming months.